We have thread ad nauseum discussing Michael Vick. But I want this thread to just be about Nick himself. Nick enters the season in kind of a precarious position. He is a second year guy that we drafted in the 3rd round last off season and he started 6 games for us. He wasn't a world beater but he showed improvements and flashes in his starts. Coaching changes have a brought in Chip Kelly and the overall consensus seems that Nick might not be a great choice for what chip might want to do in the NFL. So now I ask what do you think we end up doing with Nick? Does he get the starting job for 2013? Chip has always seemed to say kind words about Nick, does chip build an offense around Nick? Does he get replaced and become the #2 QB. Does Chip go get his own guy and we keep Nick to be the top back up? Now I will talk about trading Nick, interestingly enough there are 2 QB needy teams that now have his former coaches working for them. If chip doesn't have Nick in his plans do you think KC or the Jets make a move for Foles to be their guy? So what do you think happens to good ole' nick? He completed 60% of his passes, something that Andrew Luck, Matthew Stafford, Peyton Manning and Andy Dalton couldn’t do. Heck, Donovan McNabb and Eli Manning didn’t even complete 50% of their passes in their rookie season. 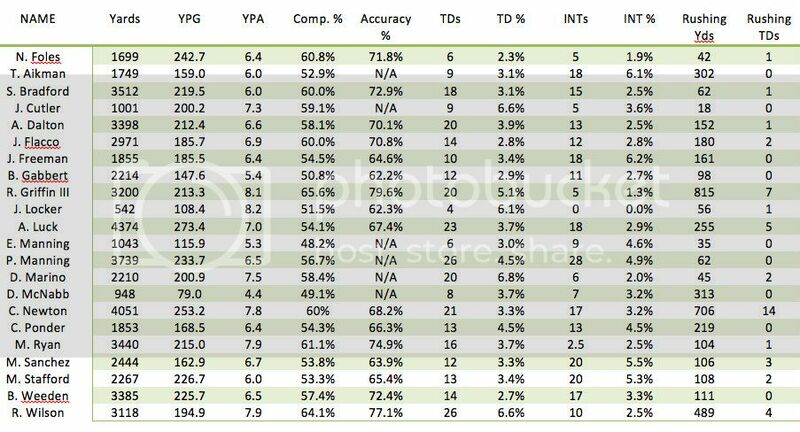 Nick Foles averaged 242 yards per game, a mark that was only matched by Cam Newton and Andrew Luck in this sample. Only RGIII, Sam Bradford, Russell Wilson and Brandon Weeden had a higher accuracy rate in their rookie seasons. And his 1.9% INT rate was only bested by Robert Griffin III and Jake Locker. The one spot where Nick Foles doesn’t measure up is his TD% where he had the lowest percentage out of any rookie QB that was sampled. What do those numbers mean moving forward? Not much. I just thought it was important to highlight Nick Foles’ performance in comparison to other rookie passers. People seem to hold Nick Foles to an incredibly high standard, which is fine moving forward, but you have to realize that rookie passers all have their warts. The real challenge for Nick Foles is going to be improving on his rookie season. Yes, he showed potential but potential just means you haven’t done anything yet. It’s all about how he’s going to grow. As you can see, Matthew Stafford and Mark Sanchez had incredibly similar rookie seasons, Stafford has obviously progressed better. Development is key. Under Michael Vick, the Eagles offense averaged 15.5 points per game and he was sacked 7.4% of the time. Under Nick Foles, the Eagles offense averaged 20 points per game and he was sacked 7% of the time. The point differential under Michael Vick was -85 while it was -82 under Nick Foles. But keep in mind, Nick Foles only took over after Juan Castillo was fired and Todd Bowles coordinated what would become a historically bad defense. I think it’s important to note that the offense as a whole played better when Nick Foles took over. I think that bodes well for him, he elevated a really crappy offense to a less crappy offense even though he didn’t really get to play with LeSean McCoy and DeSean Jackson. Impressive. 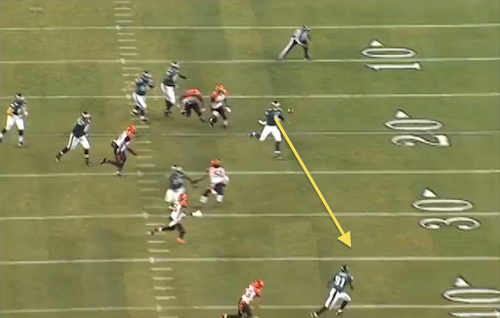 And the play of Jeremy Maclin, Jason Avant and Riley Cooper improved under Nick Foles. I’ve long said that Vick’s street-ball, scattershot QB style didn’t fit a WR core that was built for Kevin Kolb, who was supposed to be an accurate pocket passer. And sure enough, play elevated. In 7 games, Maclin averaged 5.2 catches (4 under Vick), 68.4 yards (47.2 under Vick) per game and he had 3 TD catches (4 in 9 games under Vick). Jason Avant put up his only 100+ yard game of the season with Foles and Riley Cooper enjoyed the most prosperous stretch of his career under Nick Foles. And I think it’s especially important to note how much better the offensive line looked with Foles and that it returned right back to it’s sieve-like state when the Eagles played the Giants. Foles made several noticeable checks and adjustments against the blitz, making us less susceptible to them (something Vick can’t do). And his consistent footwork in the pocket and ability to actually control the pocket, climb the pocket and on occasion get rid of the freakin’ ball helps a little bit… Michael Vick was “under pressure” 41.2% of his snaps while Nick Foles was “under pressure” on 37% of his snaps and yet Darwin Walker, former NFL DT, said the OL looked like pro-bowlers compared to what Michael Vick was playing with. Nick Foles took fewer sacks, threw 5 fewer interceptions when pressured and had the 11th highest accuracy percentage in the NFL when under pressure. Nick Foles made the offensive line look better than it was, Michael Vick made it look worse than it was. Nick Foles and Michael Vick played with the same supporting cast and Nick Foles did better; fewer negative plays and more points on the board even though Foles didn’t have DeSean Jackson or LeSean McCoy for a majority of his 7 games. Again, I think this bodes well for him. Sometimes you see players put up stats without really elevating the level of play around them (Philip Rivers, Andy Dalton, Kevin Kolb, Matthew Stafford) but Nick Foles doesn’t appear to be one of those guys, the offense as a whole played better with him at the reigns. I would certainly say that Nick Foles has the potential to be good enough. A Tom Brady, Drew Brees or Joe Montana type rise seems extremely unlikely but becoming a Andy Dalton or Matt Schaub level passer? That’s within striking distance for Foles, in my opinion. We saw this season that he’s capable of being accurate and spreading the ball around. 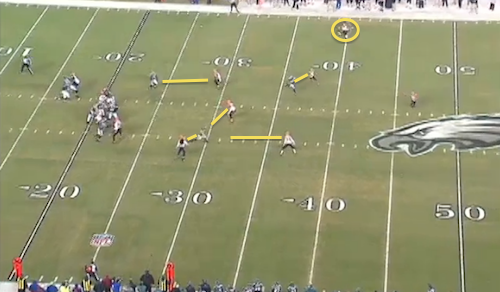 Foles showed better decision making skills than most rookies, he didn’t turn the ball over often. And we saw him command the pocket. During the season we consistently saw Nick Foles show good eye level and the ability to avoid pressure without running around like a wild goose. We saw a little bit of everything from Nick Foles this season. We saw impressive pocket presence. We saw a good enough arm. We saw a QB who threw with anticipation. We saw a QB who had us in position to potentially win games in 3 games, two against division rivals and he won a game on a last second play against a team in the playoff hunt. We saw toughness, poise and moxy. 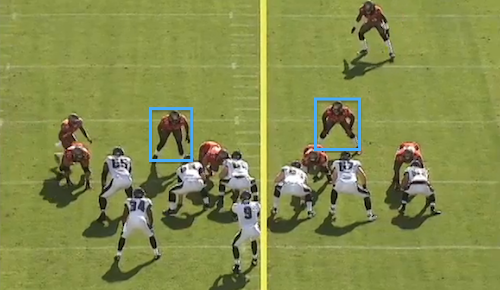 We saw a quick release and accuracy that was a significant improvement of Michael Vick’s. We saw a guy, who at least in my opinion, should develop into at least a good game manager if he continues to develop properly. So yes, if Andy Dalton, Matt Schaub and Christian Ponder are playoff QBs, I think it’s safe to say that Nick Foles could be good enough if his development continues on it’s current trajectory. I don’t think we hand him the keys and say, “See the Benz? It’s all yours pal”. But, he’s at least got to be given the chance to sit in the drivers seat, even if it’s a student driving car and the passenger controls the brakes. This QB class is incredibly weak and the drop off in talent from the top to the middle isn’t very steep. Finding a franchise QB in this draft is going to be tough, you’re going to have to develop a guy otherwise it’s going to be like trying to squeeze water out of a rock, nobody is ready to go right out of the box. And I do think that Nick Foles is farther along in his development than any QB in this class, why hit the reset button? My vote is to “Roll with Foles” for a season and see what happens. I’d love to see what we’ve really got in Foles, I’d hate to pull the plug on him already. After next season, if his development stalls, the Eagles can then make a move for a QB at the top of the draft in a much stronger draft class. But right now, I think Foles has the potential to be good enough to give us a chance and I would rather build a roster around him than sink immense amounts of resources into the QB spot, especially in this offseason where the QB market is bone dry *watches tumbleweed roll by*. Great post Meco, I agree with everything you said. There doesn't appear to be a franchise QB in this draft on paper and we'd be stupid to make some wild trade across the league to take someone else's QB at huge expense. 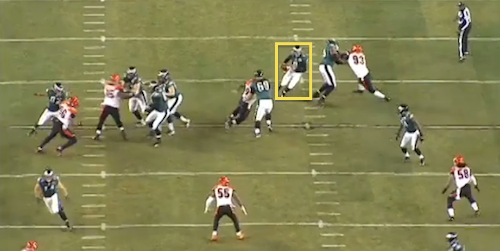 Foles did well when he was on the field, in a deteriorating, no-hope of a team. Things will change drastically this off-season with Chip coming in, Peters hopefully back, more weapons added in draft/FA. We could see a completely different outfit next year and Foles will have a full off-season to work with Chip and the new regime. Although I support Foles, you can throw out whatever he did last season. Coaches struggling for their careers, an O-line that was Division 2 caliber, no assemblance of a system, only a 6 game snapshot to compare to other QB's that played a whole season and players just out and out laying down. Foles, IMO, deserves a shot just due to the mere fact there is no one else competent enough to compete for the job. Regardless of what people say, it will take Kelly a full season to figure out what he has to work with in terms of talent on this roster. That spells an enormous amount of growing pains. If Foles can survive the next 18 months and mature, he can make it in this league. I feel like I had been the only one saying this. Trade Foles for D'brick to shore up the OL and Bart Scott so I can overuse his "Can't Wait" gif. 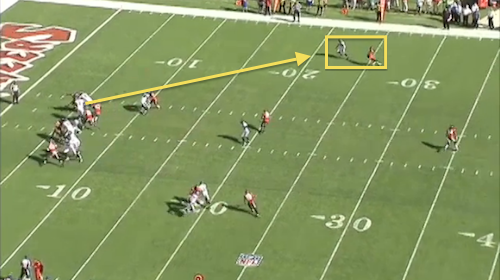 As far as Meco's post that working against the blitz montage of photos...was actually a designed playcall, I say that because we saw a lot of stop routes when MV was under helm. I think if he develops his deep ball in general he could become a solid pocket passer. But with that being said, I truly believe he drew the short stick being drafted the year before a regime swap. As I have been posting, historically coaches have gone after their "own guy" at quarterback unless there is a top 5 pick on the roster. But hey, who knows. I think if there's any indication of hope for Foles it's Pat Shurmur. But at this point we simply do not know what direction we will go or even what offense we will run for that matter. It's still very early in the process, as Chip hasn't even been on the job for a month yet. We don't know how he feels about Vick or Foles, but the overwhelming consensus would be to release Vick and keep Foles. But I get the feeling Chip brings in a vet QB and drafts a 3rd-5th round project to compete for the starting job. At this point in time, I'd say Nick has a 1 in 3 chance of being named the opening day starter in 2013. I do think he'll be kept on the roster however, for sure. If people think this wasn't a huge part of their discussions the you're naive. Foles will start, it's his job to lose. IMO, Nick Foles absolutely deserves a chance next year. His future is in question for now, but if he is developed he has a chance to be a very good NFL QB. Also, there really isn't any better options out there. Vick has to go, the draft is not top heavy at all at QB, and I am not a fan of trading picks for someone like Smith or Flynn. Foles is the best option for the Eagles next season. Give him a shot and see if Chip can make him something special. Bring him in competition that has a good chance of being the guy of the future as well. People want to give Foles the Kevin Kolb "chance" which means handing him the starting job without earning it. Most fans around here don't want Foles to earn the job just like they didn't want Kolb to earn the job. If you look closely these same guys secretly support the idea of tanking and being as bad as possible to get a high draft pick. WE ALREADY HAVE A HIGH DRAFT PICK! WE ALREADY HAVE A HIGH DRAFT PICK! I do agree with bringing in competition for Foles, as suggested by my post above, the only problem is that no QB looks to be worth a top 5 pick right now. We can't just expect to pull a prospect out of thin air that doesn't exist. 2014 looks to hold a much better player at the top, his name being Teddy B of course. For them, which may include you, it's not about tanking for a QB. It's about tanking if you perceive the team as being anything less than a Super Bowl contender. Just like you proclaim that no QB is worth a top 5 pick, they proclaim that the Eagles aren't a Super Bowl contender so they constantly suggest things that bring the Eagles closer to tanking instead of progressing to mediocrity. There is nothing wrong with going from bad to mediocre. These guys want to go from the worst, collect a bunch of top draft picks that are not guaranteed to pan out, then turn into a Super Bowl contending dynasty with these top picks. So at what point do these top picks learn how to win in the NFL? These guys already want to hand Nick Foles the job without competing with someone who can get the job and hold it for 7+ seasons. That adds to the losing mentality this team ALREADY has. These people don't even want a QB in the 2nd round. Tank! Tank! Tank! Just like you proclaim that no QB is worth a top 5 pick, they proclaim that the Eagles aren't a Super Bowl contender so they constantly suggest things that bring the Eagles closer to tanking instead of progressing to mediocrity. There is nothing wrong with going from bad to mediocre. I agree with progressing any way you can, especially with our young roster. And if you look closely, I myself never mentioned "we should tank" at any time. I was just stating that 2014 has a better QB at the top. Out of curiosity, do you think any QB is worth the 4th pick this year?